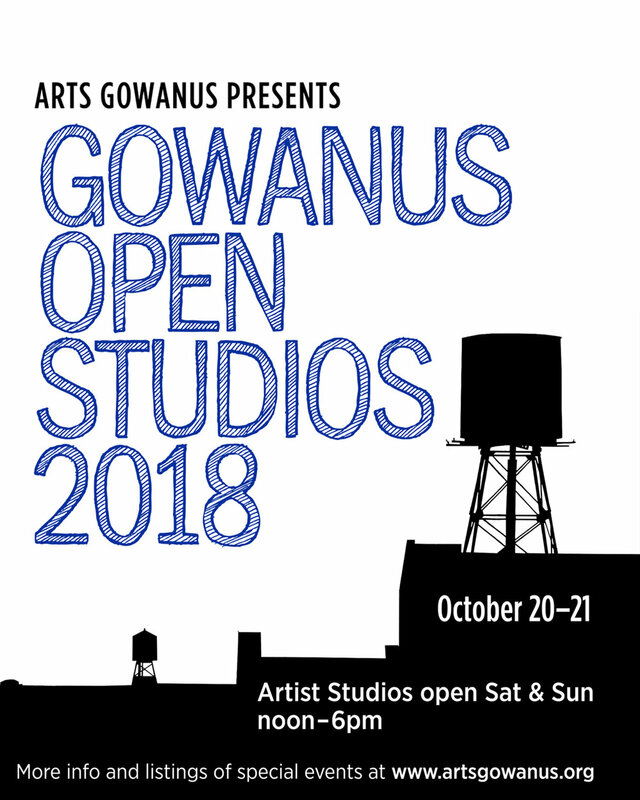 Bond Street Studio does Gowanus Open Studios 2018! Bond Street Studio is excited to partake in the 2018 Gowanus Open Studios, featuring artworks by Haitian artist Candílo. Make sure to stop by between 12-6pm on Saturday October 20th & Sunday October 21st to see these unique and extaordinary paintings. Jean Lareus Candílo was born in Port-Au-Prince, Haiti on April 16, 1971 to a Haitian mother and Cuban father, the middle child of six. As a young boy, Candílo liked to draw but never really thought much about it other than that he appreciated art. At the age of 15, while wandering the streets of Port-Au-Prince, he met an artist named Jack. Jack was himself a painter and on occasion, Candílo would stop by and engage in conversations with him about his work. Intrigued and fascinated, Candílo's visits became more frequent, often spending entire days with the artist. Jack became fond of Candílo and began sharing his many painting "secrets" with him. The student had met his mentor and it wasn't before long, Candílo was hooked. He began fervently sketching and painting on his own and continues to do so to this very day. I was introduced to Candílo in 2011 through a mutual acquaintance by the name of Yussuf. After listening to Yussuf's description of him, I wasn't sure what to expect but figured I'd venture out and see who this artist was. What unfolded from that point on has been nothing short of an awe-inspiring experience for me, the likes of which I have never even dreamed of. I began seeing Candílo a weekly basis, often visiting him 2 or 3 days per week. During this time, I have intimately photographed and filmed him while painting and have captured a trove of still photographs and hours of footage of finished pieces as well as works in progress. There have been countless hours spent together. Working, talking, laughing and yes, quite a bit of arguing. As a visual artist, it has been one of the most fruitful experiences of my entire life. To put that into perspective I've been taking photographs for over 47 years. He has graciously let me into his world... and what a world it is. In my humble opinion, this man is as deeply devoted to his art as is humanly possible. The pure dedication and love for one’s craft that I have witnessed over the last several years is beyond my own comprehension as an artist.